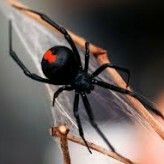 While there are many species of spiders in Western Australia, only two of them are highly venomous; the Red-back Spider and the Black House Spider. All spiders will build webs, which are unsightly and may gather dust. Permethrin and Bifenthrin are Synthetic pyrethroids, which closely resemble a natural material produced by the Chrysanthemum plant. They are significantly more toxic to an insect than to a warm-blooded animal. Eaton Pest will guarantee that our treatments will give effective control of spiders for three months from the date of treatment. Bifenthrin and Deltamethrin are synthetic pyrethroids, which closely resemble a natural material produced by the Chrysanthemum plant. They are significantly more toxic to an insect than to warm-blooded animals. 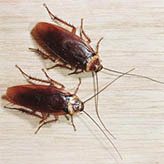 Fipronil and Imidacloprid are new forms of cockroach control agent. They come in the form of a bait material and only minute amounts are needed to achieve control. When used according to the manufacturer’s label, Fipronil and Imidacloprid are not harmful to warm-blooded animals at all. 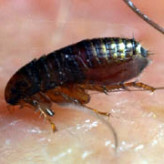 Eaton Pest guarantees that our treatment will give effective control of cockroaches for three months from the date of treatment. Please bear in mind that it can sometimes take up to two weeks for all cockroaches to die. 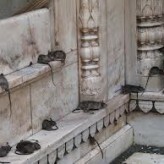 The presence of rodents will be indicated by their droppings, gnaw marks and unaccountable disappearance of food. As is the case with most household pests, prevention is better than cure. This can be achieved by keeping all food in rodent proof containers, placing rubbish and refuse in rodent proof bins, denying the rodents access to water and keeping yards free of rubbish and packing material that could provide nesting and harbourage areas. There are many different methods of treating for rodents depending on the type of property and infestation. • Rodent proofing – this involves physically stopping the rodents from entering the building and is usually a very involved process. • Poisoning – there are many different methods of poisoning, the most common being the use of Brodifacoum, which is relatively non-hazardous to human beings. Should accidental poisoning of domestic pets occur, the antidote is readily available from any veterinary hospital. • Trapping – often useful in situations where dead rodents may be difficult to remove. There are many different types of traps available. Eaton Pest will guarantee that our treatments will give effective control of rodents for three months from the date of treatment. Please bear in mind that it can take several visits to the site to control the problem. Deltamethrin and Bifenthrin are synthetic pyrethroids, which closely resemble a natural material produced by the Chrysanthemum plant. They are significantly more toxic to an insect than to a warm-blooded animal. The technician may also add to his treatment an insect growth regulator, which will help to control the newly hatched fleas. Eaton Pest guarantees that our treatment will give effective control of fleas for three months from the date of treatment. Please bear in mind that it may take several treatments for all fleas to die. 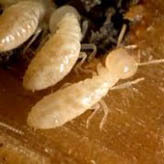 Subterranean Termites are random foragers and work twenty four hours-a-day, seven days-a-week and yes, even in Winter. Subterranean Termites are very efficient in concealing their presence. They consume timbers from the inside out, leaving a paper thin veneer of timber or timber product which is virtually undetectable until something gives way. This is a defensive behavior which protects the colony of basically blind subterranean termites from natural predators. It also assists in controlling the high humidity of their living environment. 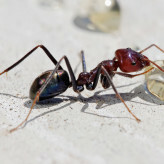 Ants can seriously damage paving and structures by removing sand from beneath bricks and concrete for nesting purposes. For a standard ant treatment, the Eaton Pest technician can use a range of products, including baiting and chemical spraying. Eaton Pest Control guarantees that our treatment will effectively control ants in the treated areas for one month from the date of treatment. Please bear in mind that it can sometimes take up to two weeks and several applications for the population to reduce and that total eradication is rarely possible.